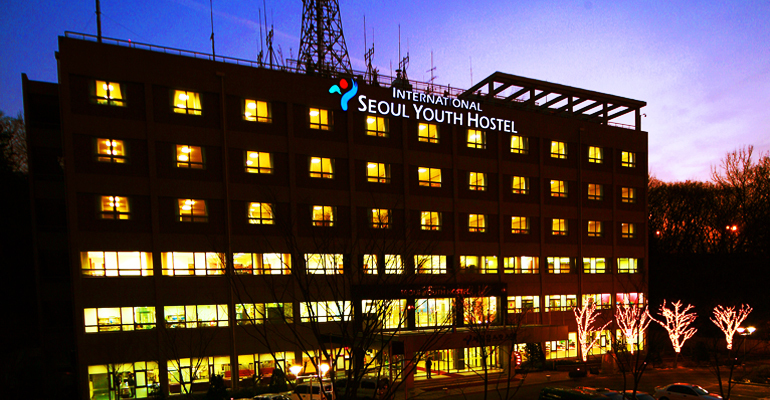 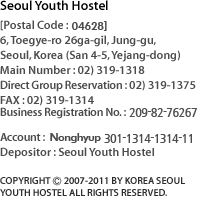 At Namsan Mountain, the center of Seoul that cherishes the history and prosperity of Seoul is where Seoul Youth Hostel is located. 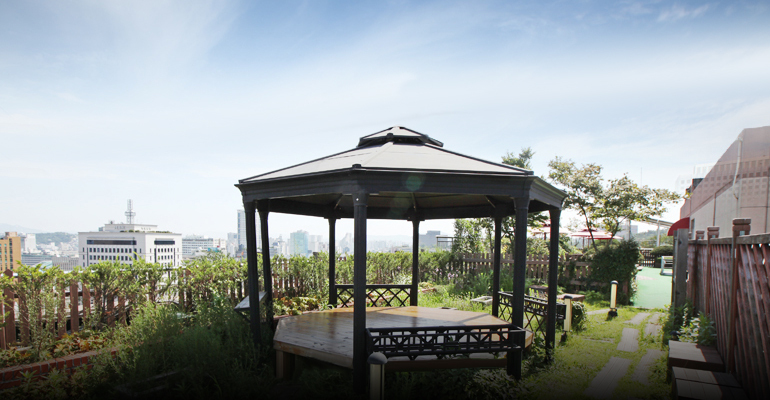 Once used as the headquarter of National Security Planning Agency, this building was taken over by the city of Seoul and turned into the place of relaxation and culture, wide open to the world. 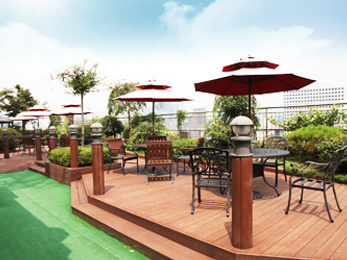 We treat our valuable guests with the best accessibility to the city attractions like Myeong-dong and N Seoul Tower, a beautiful view of Seoul, clean rooms, and friendly services. 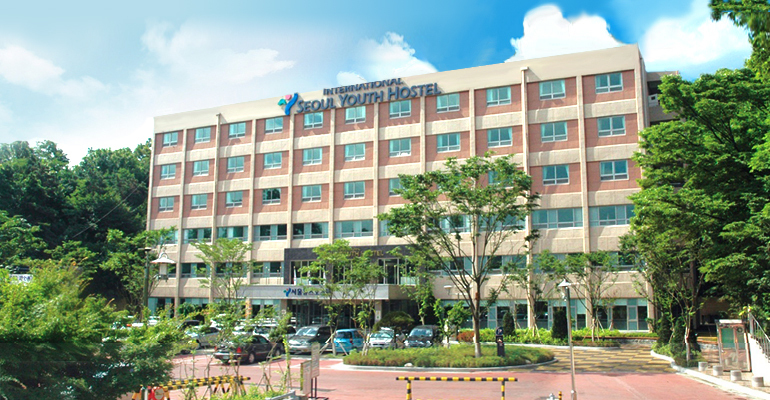 and organizations looking to host seminars and events. 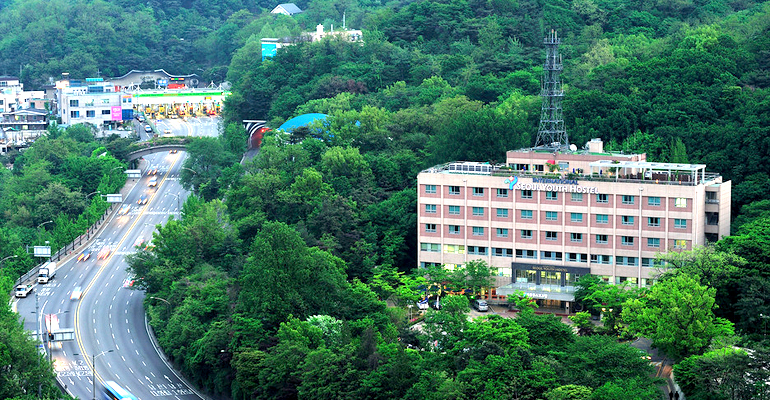 It is founded by the city of Seoul, and is operated by Hung Sa Dan(Young Korean Academy).